The rest of the gang…..
Yweeb and Slon. Poser. Self explanatory….. I broke down and bought SpeCtor, Slon, and Yweeb by Nursoda. They were not in my collection, and the fact was itching my id something fierce. What can I say, I like his work in 3D. 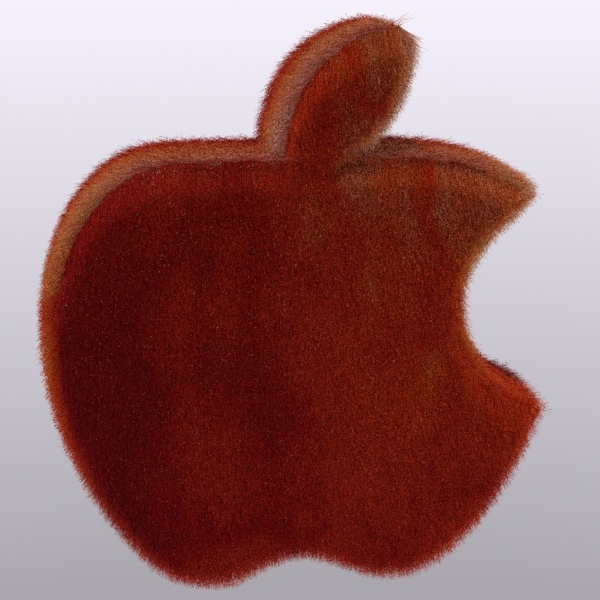 I decided that I want my apple to be fuzzy. Taking the day off. Not doing squat except burn a few backup DVD’s, watch TV, nap, eat, play guitar, mess around, harass the critters…..
Also got an 8G USB stick for $10 yesterday. Pressed bamboo cover, and the lid is magnetic. Now I can hold a full DVD, something my 4G stick couldn’t do. New mouse, too, which is why I went in the store in the first place. Old one was getting wonky on the button switches, especially the left click. Been working on Vince Bell’s website, giving it a major facelift. A few more days to go, with three major pages (and some 70 iFrame content pages) left to nail down. Not trying to burn down the barn on progress, but it is being made methodically. I saw a constructed Apple logo on Turbo Squid today as I was there doing a two month refresh of the available freebies. 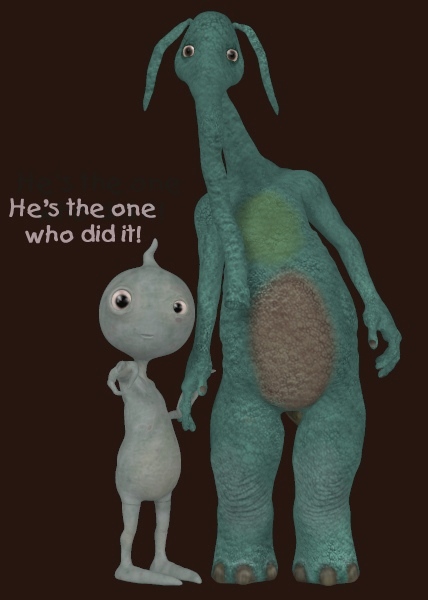 It was for C4D, and was 25M. I had to wonder why so large without succumbing to the urge to download it to find out what was bloating the download. Instead, I made my own from scratch in modo. The reflection texture gave it a little character to celebrate the release of Lion, even though I’m not running it yet. Pardon me if the reflection bears some resemblance to surgical scars. There was an incident here in the yard the night before last, while the house was asleep. From the nature of the wounds suffered by Pup and Austin, primarily to the lower torso region, the intruder seems to have been a large raccoon. Each dog suffered about half a dozen gashes and punctures to their undersides, requiring extensive surgery. The vet bill was almost $3k (ouch) for the pair. So yesterday was one of those days, with the dogs being dropped off at the emergency clinic before morning rush hour and picked up shortly before midnight. Today begins two weeks of tending to widely shaved dogs with metal stitches and cones around their necks to prevent their licking at the wounds. Dispensing of antibiotics and pain medication, seeing to their comfort, and managing everything else around that, for the next two weeks will be a part of my life. Oh well, it’s too hot (104-106°F) to do much of anything but stay inside. I guess it came at a fortunate time, if anything about this can be considered fortunate. I’m redesigning a website, a fairly radical facelift. So I’m keeping an ear open while I work, and periodically cleaning blood drops on the floor, dripped from Austin’s tube. It comes out tomorrow, I believe.